Photography - Lens and Light-based Media. New specification for teaching from September 2015. 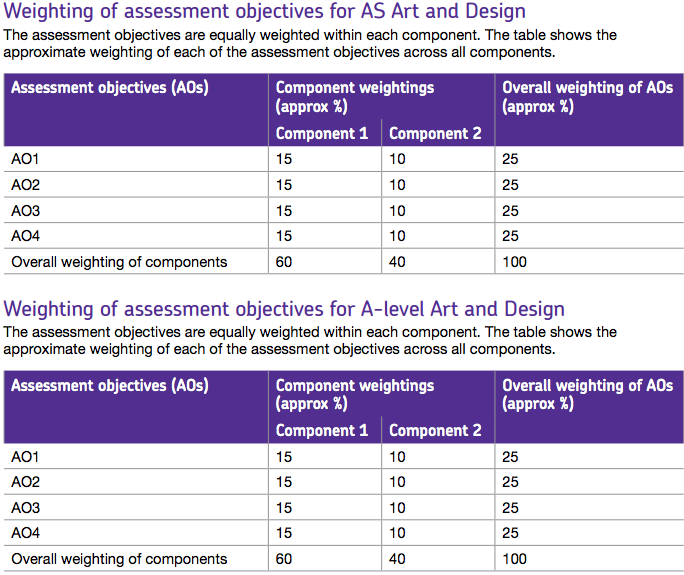 This example from the WJEC specification illustrates the typical set of assessment objectives. Equal emphasis is placed on the four objectives and the language used is very similar by all the exam boards.